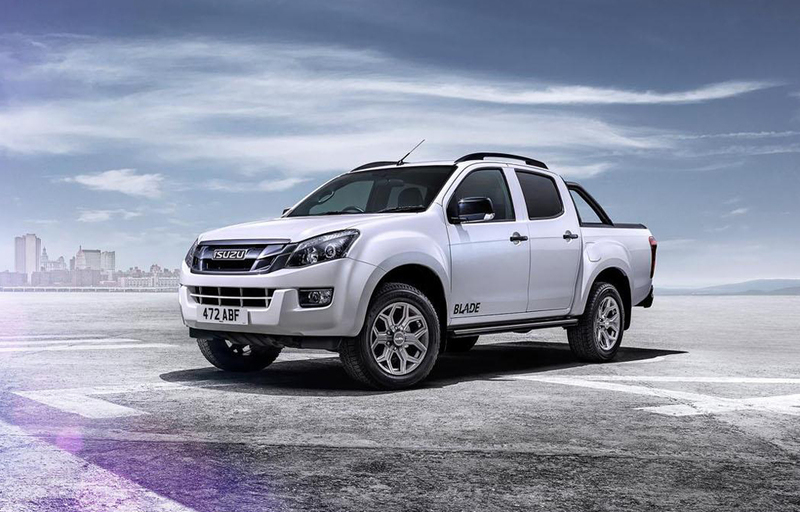 Isuzu in United Kingdom has taken the wraps off 2015 D-Max Blade. It can be had with the starting price of £ 25,999. The exterior comes with two excellent choices for body paint – Pearlescent White and Cosmic Black. Out of these, Cosmic Black is the standard one. Shadow grey can be seen on the grille, while Cosmic Black has been used for the accents on door handles and mirrors. The tail gate is soft-close. It bears dynamic looks as its runs on 18-inch alloy wheels. These are accompanied by Pirelli Scorpion Zero 255/60 tyres. As for the top, buyers can select between roller cover Black Mountain Top and leisure canopy Aeroklas. The changes in the cabin are visually limited, but comfort and facilities have been enhanced. 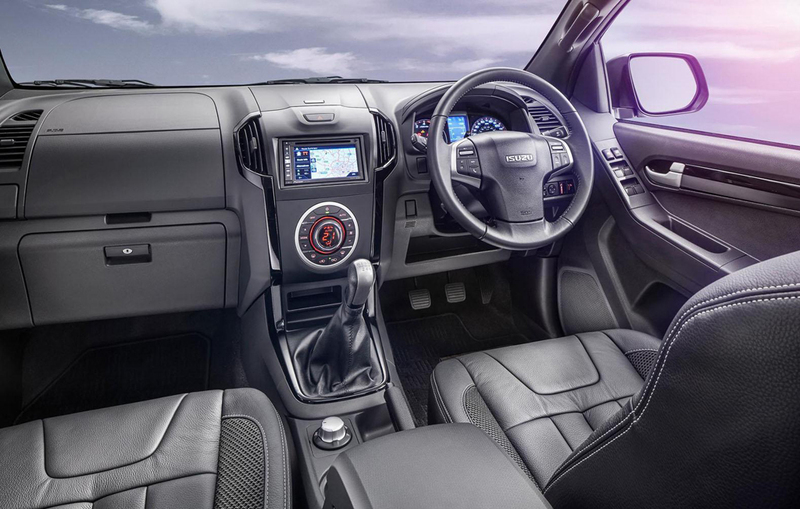 Prominent features include – leather seats with heating facility, special mats for the floor and piano black trim. The truck is well equipped with rearview camera for good driver assistance. The navigation system Pioneer features touchscreen of 6.1 inches. Audiophiles have eight speakers at their disposal. Under the hood is present twin-turbo 2.5-litre diesel engine. This unit generates 163 PS power and 400 Nm torque. The mighty engine gives a towing capability equal to 3.5-tonnes – which is class-leading. The truck has a fuel economy of 38.7 mpg. As for the transmissions, customers can select from five-speed automatic or six-speed manual. 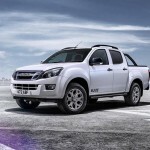 UK market exclusively gets 4×4 double cab 2015MY D-Max Blade starting at £25,999 in case of six-speed manual transmission. As for five-speed automatic transmission, it can be had at £26,999. Iszu offers four-wheel drive as a standard feature no matter what the transmission. The vehicle is available for order now and the deliveries shall be commenced sometime later in April. It draws inspiration from the 2014 model. D-Max Blade 2014 brought about great success for the company. The annual sales for it went as high as 5,500 units.